At CES in January this year, Acer announced two very interesting devices. While they bear a similar name, they are completely different from each other, thus are their target markets. One of them is the Triton 500 (which we’ve already reviewed), while the other is called the Acer Predator Triton 900. At 17-inch, it not only is a substantially bigger device, but it features a breakthrough in laptop design. It has a hinge, which enables the screen to move at almost 180 degrees, which when coupled with the axial movement of the hinge itself (Ezel Aero Hinge as Acer calls it), results in a Microsoft Surface Studio experience – in a laptop… for games. By the way, it was one of three major approaches taken by manufacturers, in order to revolutionize the market. While, this is a more convenient approach, the others include Alienware’s Area-51m, which embodies desktop CPU and GPU, and ASUS ROG Mothership GZ700GX, which has the majority of its hardware on the back of the monitor, while the keyboard is detachable. Anyhow, let’s get back to the star of today’s review – the Triton 900. Its brain contains an Intel Core i7-8750H, while the NVIDIA’s latest and greatest – GeForce RTX 2080, powers the emotion-infused graphics department. If this doesn’t sound impressive enough to you, let’s throw some additional spices to the recipe – 2x 512GB RAID 0 NVMe SSD disks, and beautiful 4K monitor, which you can pull all the way to yourself and, of course, has touchscreen support. First of all – this box is both huge and heavy. Opening it up reveals another two boxes – one containing the enormous 330W power brick, while the other one is where the Triton 900 is situated. We definitely found the box, housing the laptop to be interesting enough – it is super thin, and feels like there is some pure lead inside. Innovative, practical, strange. This would be our choice if we had to describe Triton 900’s design with three words. It follows a very different path from the Triton 500 we reviewed earlier on. As you may see there are two relatively unusual …things… on the side. Nope, they are not robotic arms that are going to attack your dog (at least, we hope). In fact, they hold the display extremely tightly in place and have two pairs of hinges. One is located in the base conjunction, while the other is mounted onto the top part of the screen. Despite this, quite bulky execution, the laptop is actually very thin for a full-blown (non-Max-Q-design) gaming device – 23.9 mm in profile. To our greatest surprise, the screen is easily opened using just a single hand. Well, yeah if you manage to stick your fingers between the screen and the body, you will be able to do so, however, we found that step quite hard. Come on, you would say, is this the most important part of it?! “No!” – we would answer. The most important part of the hinge is the ability to use it as a creative tool – pull the screen towards you, turn it around to show someone … something, or just lay it down flat and use a Stylus to create something magnificent. This makes the Triton 900 the most powerful convertible on the market yet. Further below, we see some a design inherent from the Triton 700 – glass grill, covering part of the cooling, so they can show off their heat pipes and fans. Yet, there is something more to it. Surrounding the glass grill are some cut-outs, which help the air flowing more easily inside the laptop. A little bit beneath it is located the mechanical keyboard. Yep, you heard it right – a mechanical keyboard on a device with 23.9 mm profile. Although, it is not a regular keyboard by any means. Its travel is relatively long, but the point of click falls at around 20% of the key pressed with the rest being dead travel. Actually, this feels unexpectedly pleasant. Have you ever seen those videos of paint mixing, or the making of candy – this keyboard gives us the same feeling – plus it is RGB backlit. As you may see, the keyboard doesn’t include a NumPad section. What the h*ll? A 17-inch laptop, without a NumPad – Acer must be joking. Except, it’s not – that rather unorthodox touchpad on the right doubles as a Numeric section. You just need to double press (or more precisely – double tap) the symbol at the top right to light these numbers up. Despite it is a pretty good idea, something like the ASUS NumberPad and definitely better than Acer’s own removable touchpad on the Predator 21X, it is not very conventional. The fact that it is a capacitive button, rather than a resistive (like the regular keyboard) makes registering the inputs harder and unable to double press. In addition to that, it is a little weird using a portrait-oriented touchpad, but this can be easily forgiven since the touchscreen works perfectly. Finally, we have to note the total of four exhaust areas of this laptop. This results in a very good airflow – something rarely seen in even bulkier devices. Additionally, there are the top firing speakers. This provides a good quality sound and the ability of a perfectly flat bottom of the device. Left side houses of a single USB Type-A 3.0 connector and two 3.5mm jacks. On the other side are located an RJ-45 connector, another USB 3.0 Type-A port, as well as a USB Type-C 3.1 (Gen. 2) and another Type-C, which has a Thunderbolt connectivity. Here is where you’re going to find the Power on/off button. Moving to the back of this bizarre device you’ll see a full-sized DisplayPort, and HDMI connector and the barrel-styled plug. As usual, it is a good touch to see the display connectivity options on the back of the device – away from the hands. Here the disassembly procedure of pretty much resembles the one on the Predator Triton 700. Unscrew all 12 of the Phillips head screws you at the bottom plate, then turn the device around and carefully lift the base of the device. It shouldn’t resist too much, just mind the claps at screen/base meet area. After you lift it up, there will be three cables connecting the keyboard assembly to the motherboard – two of them are the extra fragile ribbon cables, while the other one is a little bit more durable conventional bundle of wires. That’s it, you cleared every obstacle on the road of upgrading your storage/memory. First, let’s take a look at the cooling solution. It resembles two enormous copper (supposedly) plates, which take the heat from the CPU and the RTX GPU and transfer it to a total of four heatsinks, via six heat pipes. Both of the fans are made out of metal and the left one, we should note, is huge in size. In fact, the diameter of the fan is approximately the same size as the length of one of the RAM boards. We expect big things from you, cooling. Our unit had two RAM DIMMs, occupied with 32 GB of DDR4 RAM at 2667 MHz. Storage, however, is a little hidden to the eye. It is right beneath the “Big” fan. In fact, in order to get in touch with them, you need to remove two cables, and carefully remove the copper plate. After that you’ll notice some good use of space, as one of the M.2 slots, is placed underneath a heat pipe. Fear not, our dear reader, as there is no trouble getting an SSD in or out this slot. And at the end, there is the super slim 71.9Wh battery pack. Sadly, despite the large footprint of the unit, we find it too small for such a package – Core i7-8750H, GeForce RTX 2080 and a 17-inch UHD screen… Yup, the battery is definitely unimpressive. Acer Predator Triton 900 is equipped with a UHD 4K (3840 x 2160) IPS touchscreen panel with a model number AUO B173ZAN01.0 (AUO109B) – the same one we found in the Predator 17X (GX-792) and in the Predator Helios 500. This results in a pixel pitch of 0.1 x 0.1 mm and 255 ppi pixel density, meaning that the screen can be considered as “Retina” when viewed from further than 33 cm – perfectly suitable for the 17.3-inch device. Viewing angles are excellent, as you can see from the images below. We recorded a maximum brightness of 303 nits in the center of the screen and 300 nits as an average across the surface with 18% maximum deviation. Additionally, the color temperature on a white screen is matching the sRGB standard of 6500K – 6504K, while it gets warmer along the greyscale with 6200K. Values above 4.0 are unwanted and should not be present. The contrast ratio is good – 1070:1 (1010:1 after calibration). Acer Predator Triton 900’s screen not only 100% of the sRGB colors, but it can display all of the colors in Adobe RGB. It even spreads out to a significant amount of DCI-P3, making it extremely attractive and vibrant – something rarely seen in laptop monitors yet. We recorded Fall Time + Rise Time = 24 ms. Not bad for a 60Hz monitor. As we know from the other devices we tested with this screen, it doesn’t use PWM for brightness adjustment. This makes it safe for use for extended periods of time in this aspect. Acer Predator Triton 900’s display has touchscreen support, excellent UHD resolution, comfortable viewing angles and doesn’t flicker under any brightness level. Moreover, it is perfect for high-quality movies, since it covers a wide amount of the DCI-P3 spectrum, aside to the 100% sRGB and Adobe RGB coverage. Since our profiles are tailored for each individual display model, this article and its respective profile package are meant for Acer Predator Triton 900 configurations with 17.3″ AUO B173ZAN01.0 (4K UHD, 3840 x 2160) IPS screen. Acer Predator Triton 900 sounds loud and crisp. Its low, mid and high frequencies are clear of deviations. Since by the moment of writing this review, the laptop wasn’t officially on the market, we are not able to provide any information about its drivers. As soon as we find the drivers you need for it, we’re going to update this article. Now, we conduct the battery tests with Windows Better performance setting turned on, screen brightness adjusted to 120 nits and all other programs turned off except for the one we are testing the notebook with. Sadly, this is a place where the Triton 900 disappoints… heavily. Its 71.9Wh battery is merely enough for around two hours and 15 minutes of web browsing and 2 hours of video playback. Expectedly, gaming drains the battery for no more than 40 minutes. Despite this is a sample unit, software-wise it is pretty close to a retail version and we don’t really think the battery times are going to be improved. The sample unit we got was equipped with Intel’s Core i7-8750H. This model is currently only offered with Intel Core i7-8750H, which is a direct successor to the Core i7-7700HQ. The new Coffee Lake processors feature six physical cores instead of the just four found on the Kaby Lake CPUs. Moreover, the blue company was able to fit the extra two cores on the same 14nm architecture while maintaining a TDP of 45W. In terms of clock speeds, we have a slight drop in the base frequency from 2.8 GHz to 2.2 GHz but the Turbo one is 4.1 GHz (up from 3.8 GHz). This means around 50% better performance in theory and 9 MB of cache (vs 6 MB on Core i7-7700HQ). However, the new Core i7-8750H will be more cooling-dependent, due to the higher clock count and the wide range of Turbo speeds. We know what you want. This device features the behemoth of a GPU – NVIDIA GeForce RTX 2080. It is equipped with the whopping 2944 CUDA cores. Depending on the power supplied to the system the Base clocks vary from 735 to 1380 MHz, while the Boost clocks range between 1095 and 1590 MHz. Of course, with 330W of power, the Triton 900 sports the most powerful version of this GPU. Memory-wise it has 8 Gigs of GDDR6 memory, spread over a 256-bit interface. It reaches an equivalent speed of 14 GHz, while the Bandwidth is 448 Gb/s. Finally, we had the real deal from an RTX GPU. 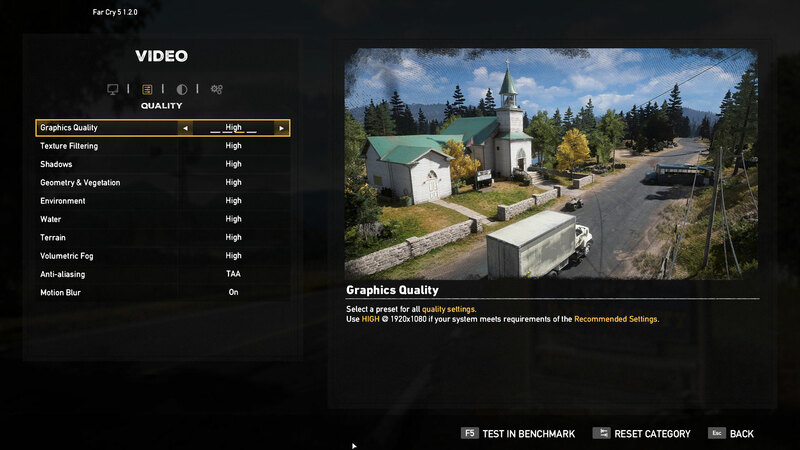 This RTX 2080 is the singlehanded king of laptop GPUs at the moment. It managed to defy even the poorly optimized Rise of the Tomb Raider with 96 fps at Max details. The situation here is obvious – make more room for the RTX 2080 to breathe. Hence the lower frequencies on the Core i7-8750H. Since this laptop is made for gaming and graphically intensive work, the more important thing in the CPU test is the temperature. With the stable 52-56C in the beginning and 61C at the end of the torture test, the system is indeed doing well giving the cooling easier time before the RTX 2080 kicks in. Not only the Triton 900 manages to deal with the monstrous RTX 2080, but it is able to push the clock speeds good 100 MHz above the maximum boost clock for this GPU. At the same time, the temperature rose from 70C at the 2nd minute mark up to 80C at the 30th. Although, in order to do so, it needed to push the fans pretty high up. At the same time, it wasn’t the maximum, as you have the Turbo mode at your disposal to shave up a couple of degrees. However, be warned – you need really good headphones. There is one sentence that defines the Triton 900 perfectly – the best gaming laptop on the market yet. Nothing we’ve tested yet beats the RTX 2080 on this device. However, there is a lot more to it than just a brilliant performer. As we expect a lot more devices with the RTX 2080 on the market (or perhaps something interesting from AMD), design-wise there is nothing similar coming to the market soon. With that performance and hinge and DCI-P3 enabled monitor, the Triton 900 is a very good portable alternative to the Microsoft Surface Studio. Speaking of the screen it covers a wide amount of the DCI-P3, while the sRGB and Adobe RGB gammas are completely covered. When you add the touchscreen support, rotatable hinge and lack of PWM, this screen turns into one of the best 4K panels on a laptop. Sadly, you may not be fully able to enjoy your gaming, since it works at only 60Hz and we don’t know if a 1080p 144Hz version is coming yet. So either the screen is high refresh rate or high res. – you need one major thing to drive it – a powerful GPU. Finally, we have an RTX GPU integration done right. The GeForce RTX 2080 inside this laptop is simply, the most powerful GPU we’ve tested yet. Apparently, Acer knows what else gamers need, since they’ve put a very good keyboard on. It has mechanical switches with a good sensation and relatively long travel. Moreover, there are some 5 buttons above the keyboard, which give you more control over the laptop performance. Three of them are programmable, while the left-most opens the PredatorSense app and the right-most boosts the fans to 100% to provide a maximum cooling capacity to the laptop and maximum annoyance to the other people in the room. As expected, the laptop has a good I/O selection, with Thunderbolt support and full-sized DisplayPort and HDMI connectors. Moreover, it is easy to get into and offers easy-access RAM and M.2 slots for upgrades. By the way, did we mention the RAID 0 support?! Sadly, however, there are disadvantages to this device – some of the obvious, others not. First, there is the obstacle of carrying this thing around – yes, it is thin, but it’s crazy heavy and the robot arm hinges are not helping at all. Yet, here comes the second disadvantage – visible flex to the body when held at the corner, although, believe us, you’re rarely going to handle this device singlehandedly. Finally – there is the battery life. As most of the gaming laptops on the market, with very few exceptions, it is simply horrible. Two hours at max – if you are lucky, you can get 15 more minutes if you just use a single tab in the browser. We are sorry if we annoyed you with this rather long verdict. Please, don’t hesitate to tell us what you think about the design of this laptop. Also, how do you think it will fare against the other two unconventional giants that are coming soon – the Alienware Area-51m and the ASUS ROG Mothership GZ700GX.